I've seen this in several designs. What purpose do these serve? They are Fiducial Marks and are often used for visual alignment of automated processes on PCB manufacturing and assembly. These automated processes can vary from pick and place machines to visual inspection and flying probes. Not the answer you're looking for? Browse other questions tagged pcb pcb-design or ask your own question. 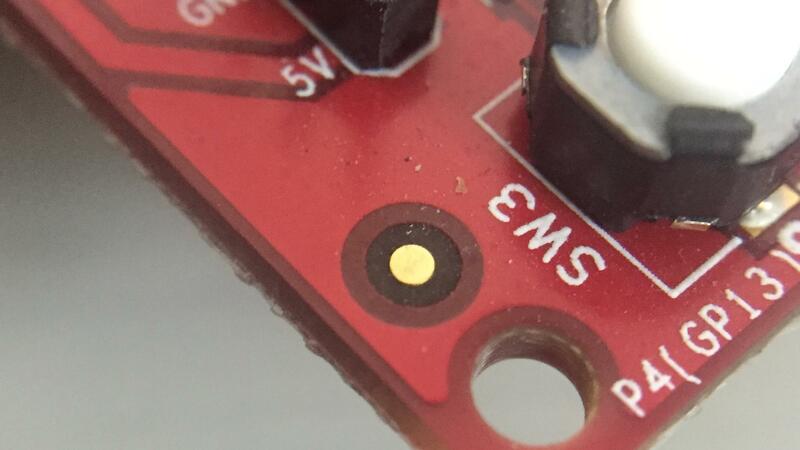 What are these spots on the PCB that are by the mounting holes? Why are there teardrops on PCB pads? Why does there seem to be a missing component in many PCBs? Why do some PCBs have zig-zag tracks? Why do some PCBs put vias around mechanical through-holes?